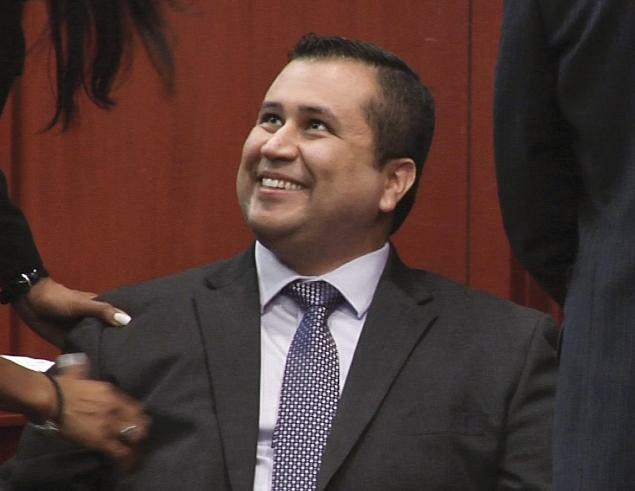 George Zimmerman beams after a not guilty verdict is handed down at the Seminole County Courthouse, but the former neighborhood watch volunteer quickly went underground. George Zimmerman’s attorney says his client, who has been in hiding since Saturday night’s verdict, needs the weapon now more than ever. The 29-year-old has taken to wearing disguises and a bulletproof vest as he tries to avoid vigilante justice. 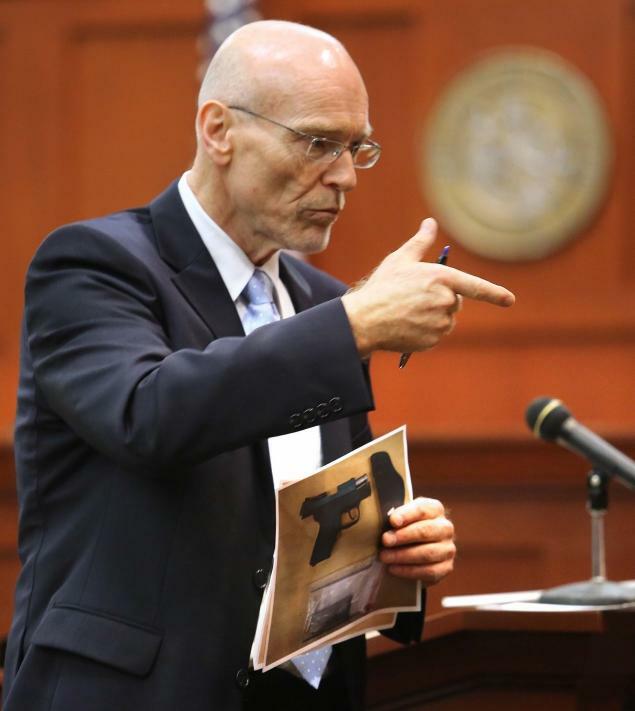 Don West, a defense attorney for George Zimmerman makes a gun gesture, describing the shooting of 17-year-old Trayvon Martin to the jury. 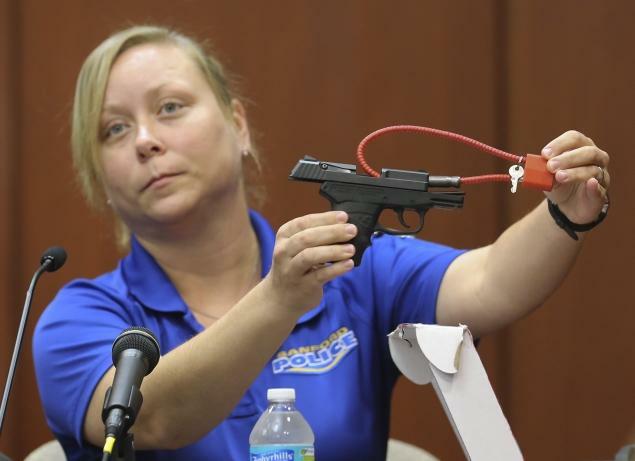 Diana Smith, crime scene technician for the Sanford Police Department, shows the jury George Zimmerman’s gun. The 9mm Kel-Tec pistol will be returned to him now that he was found not guilty. Martin’s family plans to take civil action against their son’s killer now that the criminal trial, which captivated and stirred emotions worldwide, has ended. Defense attorney Mark O’Mara, seen delivering his closing argument, says George Zimmerman needs to be armed now more than ever. “If I was him, I would go somewhere else,” O’Mara said of his client. 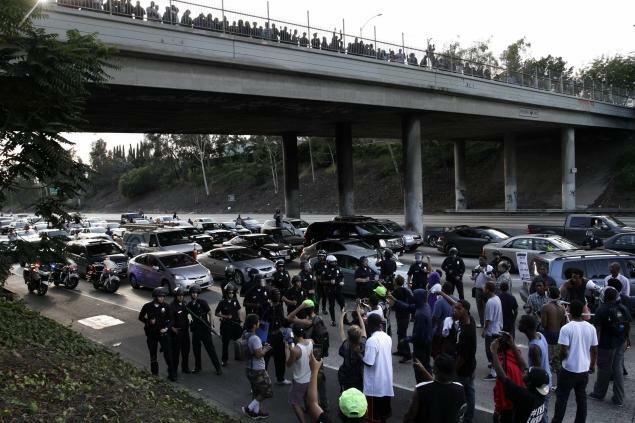 Demonstrators block traffic Sunday on the freeway in Los Angeles as police in riot gear stand at the ready. Zimmerman’s concealed-carry permit could be in jeopardy but his right to own a gun is not, O’Mara said. But if the U.S. Department of Justice, which has an open investigation into the shooting, pursues charges and convicts Zimmerman, his status as a convicted felon would preclude his right to own a gun, NBC News reported. 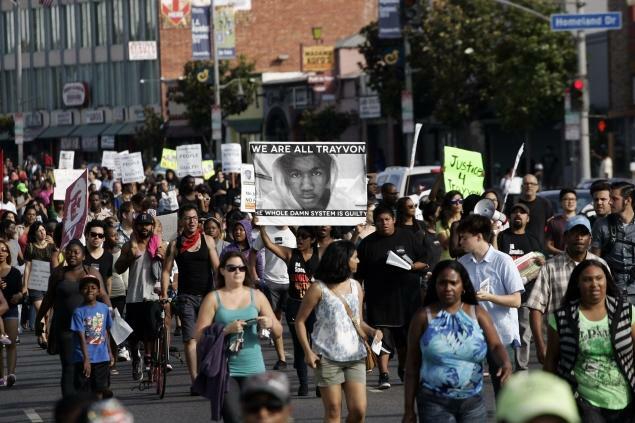 Demonstrators in Los Angeles protest the acquittal of George Zimmerman in the Trayvon Martin trial on Sunday. 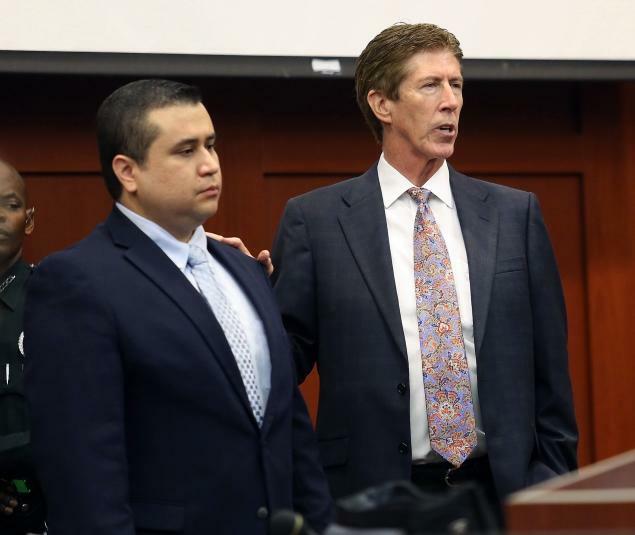 “I think that [Zimmerman] feels truly in his heart that if he did not have that weapon that night he might not be here. … [he] would have continued to get beat even though he was screaming for help,” O’Mara told ABC.